There is nothing more important than the bond between parent and child. The Parent-Child Mother Goose program builds on this essential relationship and gives parents the tools that make daily life with a young child more fulfilling. The Parent-Child Mother Goose program is preventative in nature, and provides community service agencies with a clearly developed program that is responsive to community needs. The Parent-Child Mother Goose program is committed to inclusive services that provide a climate of mutual respect and understanding. We welcome diverse cultures, languages, family situations, sexual orientations, and physical and mental abilities. The Parent-Child Mother Goose Program® is a group experience for parents and their babies and young children which focuses on the pleasure and power of using rhymes, songs, and stories together. Parents gain skills and confidence which can enable them to create positive family patterns during their children’s crucial early years, and give their children healthy early experiences with language and communication. The Program can be run in a variety of settings and can be offered either to a particular client group or to the public at large. While adaptations can be made to suit particular user groups and settings, the following elements are essential to a Parent-Child Mother Goose Program® and must be incorporated in order to use the trademarked name and be a part of the network of accredited Parent-Child Mother Goose Programs®. 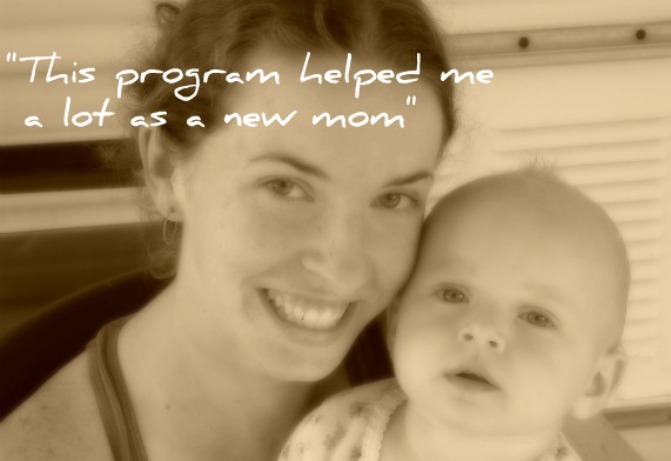 The P-CMGP is a group program in which parents/caregivers take part together with their infants or young children. Teaching is directed to the adults. The children participate as is appropriate to their stage of development and inclination. Activity focuses on interactive rhymes, stories, and songs, all presented orally and through the air*. Printed versions of the rhymes and songs are supplied at the end of a series of meetings when the participants have had time to internalise some of the material and use it in their everyday lives. No toys or objects are used. Storytelling is an integral part of the Program with the stories being chosen and told for the enjoyment of the adults. Stories which the parents can learn and tell to their children may also be included. The pace is slow and relaxed with plenty of time for repetition of material and casual discussion of issues and questions that arise. The atmosphere is accepting and supportive, with the intention of building the confidence of all participants, and creating a feeling of community and mutual support within the group. Program teachers are trained in the principles, materials and methods needed to run the Program effectively. Each program has at least two teachers who share all teaching duties and take time together after each session to discuss their observations of the interactions within the group, to review and make notes on the session activities, and to plan the next session based on their observations and the perceived needs of participants. Groups are small enough to ensure that the needs of individuals as well as of the group as a whole can be met. In order for adults to relax and participate fully in the group, an assistant may be available to supervise walking children in the Infant program, and for childcare in a playroom during storytelling in the Two-to-Four Program. The Program is aimed at families in need of support for any of a variety of reasons. There is no cost to the parents who participate.